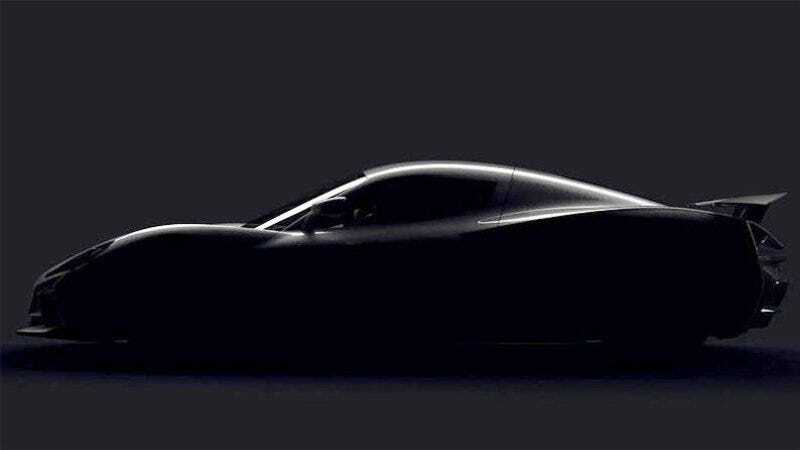 Rimac’s announcement that it’s newest supercar could (mostly) drive itself to the track probably isn’t that interesting to people who like fast as hell cars. But how’s this? New tech aside, Rimac’s not holding back in performance, as the car—dubbed Concept Two—is reportedly able to push out nearly 2,000 damn horsepower. Rimac announced this week that Concept Two will make 1,941 HP from it’s all-electric powertrain, according to Auto Guide. The car’s also expected to be able to jump from 0-60 in 1.9 seconds. Yowza. Unlike the Concept One, the C_Two could also be rather handy around a racetrack, with teaser images showing an aerodynamically optimized body and a sizable rear wing. Rimac also claims the C_Two will feature Level 4 autonomy. A distributor for Rimac confirmed to us in December the C_Two has been in the works for a few years and was developed from the ground up entirely. It will be sold through a network of five retailers in the US, which are expected to be announced when the car debuts tomorrow. Currently, the only Rimac retailer in the US is New York’s Manhattan Motorcars. Rimac’s expecting to make about 100 units in total. I can only imagine how wild it’d be to get a test ride. Someone, anyone, in Geneva: Please get a ride and let me know how it is.